Mark Saint Merat hand finishes a bespoke engine part in the Mechanical Workshop. Eight staff perform all mechanical repairs and servicing, rewiring, electrical upgrades, the rebuilding of all types of engines, from primitive vintage, rare mid-century European sports cars, to early Formula One racing car types. 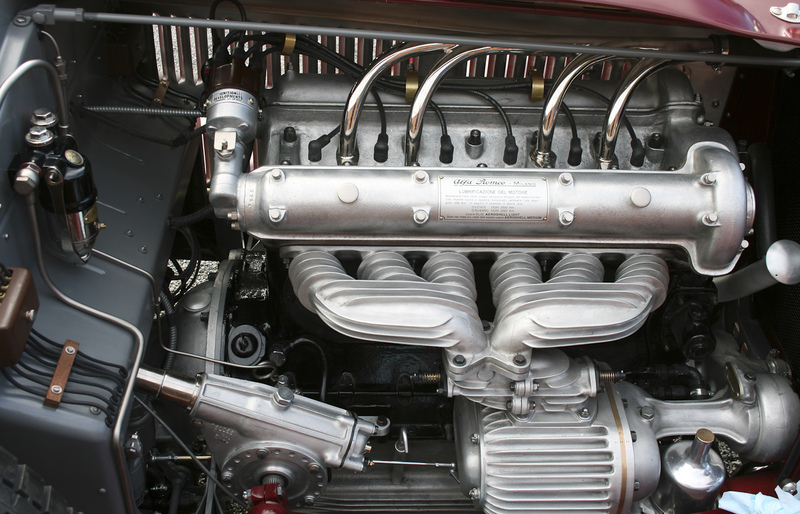 Alfa Romeo 6C Monza engine, supercharged Super Sport variant.